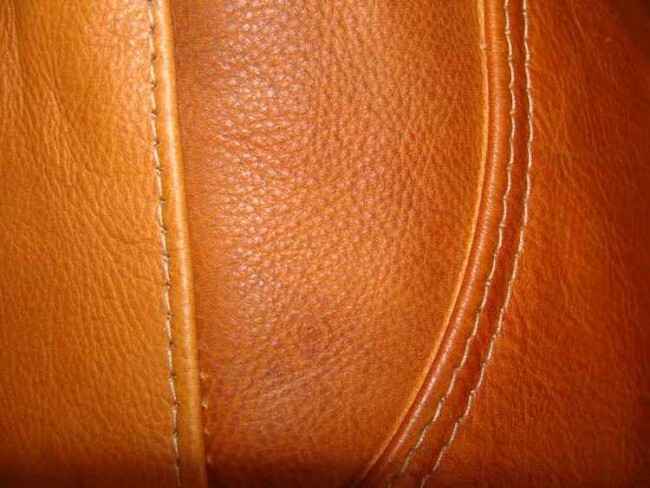 Handcrafted from luxurious real buffalo leather, double stitched and finished with a suede base and zip cover to protect your floor or carpet. Our artisans take great pride in every footstool they make, each one is sculpted from an original cowhide and they encompass its natural curves to create an original pattern so each one is unique. All of our leather footstools are filled with a foam topper and polystyrene bead to provide you with a comfy, warm and firm footstool. 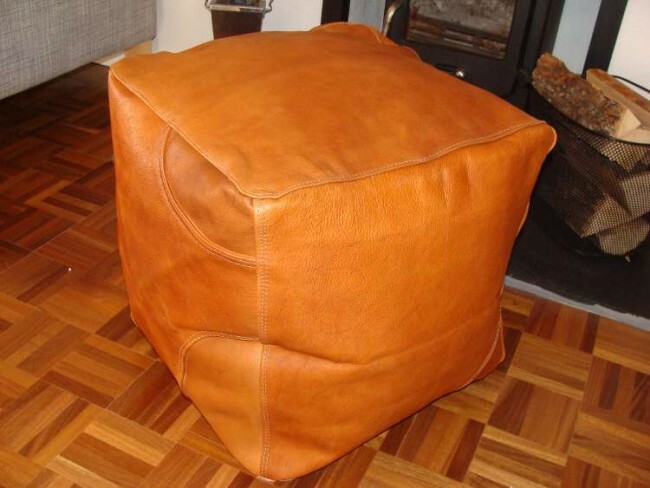 Our leather footstools are portable and light and are guaranteed to compliment any room setting and as they don't have legs they won't make indents on your carpet. WE NO LONGER ACCEPT ONLINE PAYMENTS. Stocks are now running low and this item will be discontinued. Alternatively email us at customerservice@lounge-about.com with your order requirements, contact details and delivery address. Relax with our No Quibble returns policy. 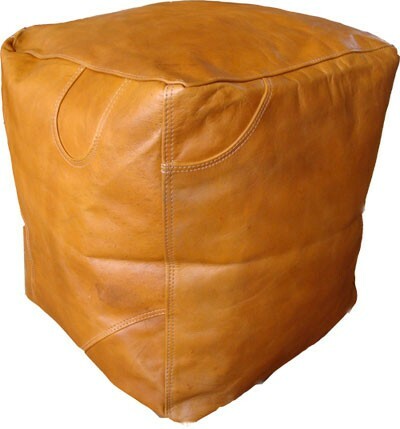 Delivery charges for mainland UK: Handcrafted leather leather chair and pod beanbags - covers only £10, medium pouffes and cube footstools £5.00. You will receive an email with online tracking and, if you provide us with your mobile number, text message updates. The Highlands, The Islands of Scotland, Isle of Man, Scilly, Northern Island and postcodes with PA, IV and KW. We can also deliver on a Saturday, prices are available on request. We will gladly offer an exchange, refund or credit note for items (without fault, in perfect condition and original packaging) returned to us within 14 days. Get the most stylish Lounge About! Relax and put your feet up on our beautiful leather beanbags and matching leather pouffe footstools, all handcrafted in Brazil. Accessorise with our colourful cushions and doggy doorstops, the perfect present for dog lovers. on the CONTACT US page. © The Lounge About Company. All Rights Reserved.